BritYY Marks 29,000 Britot Milah. On Sunday, Jews from all walks of life, Chassidic, religious and non-religious gathered at the Young Israel Center in Hollywood, Florida to celebrate the milestone of 29,000 Britot Milah that Brit Yosef Yitzchak has performed worldwide. The evening began with personal experiences shared by several people who had a Brit Milah during the past year. Keynote speaker Rabbi Sholom Lipskar, leader of the Shul of Bal Harbor, expressed in poignant terms that Brit Yosef Yitzchak is a spiritual safety net for our generation, preserving and reviving Jewish souls. Guest of honor Rabbi Yaron Amit, founder of Brit Yosef Yitzchak, told inspirational stories about the miracles that occurred for the people receiving the Brit Milah, the Mohalim, and supporters alike, and expounded on the critical necessity of Brit Milah. The evening ended with a deeply moving video presentation, which shared the reflections of dozens of men who recently had their Brit Milah through Brit Yosef Yitzchak. 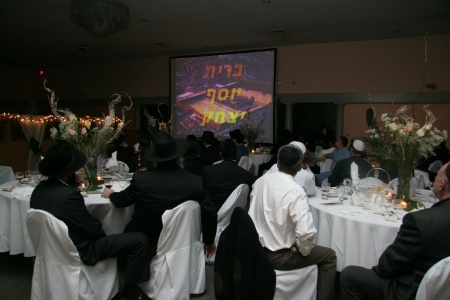 Rabbi Zalman Gansburg, who planned the event, expressed that this milestone was made possible by the organization's new website, www.BritYY.org; Since the launch of the new website, the number of Jewish adults in America who have received a Brit Milah from Brit Yosef Yitzchak increased this year by 70%.